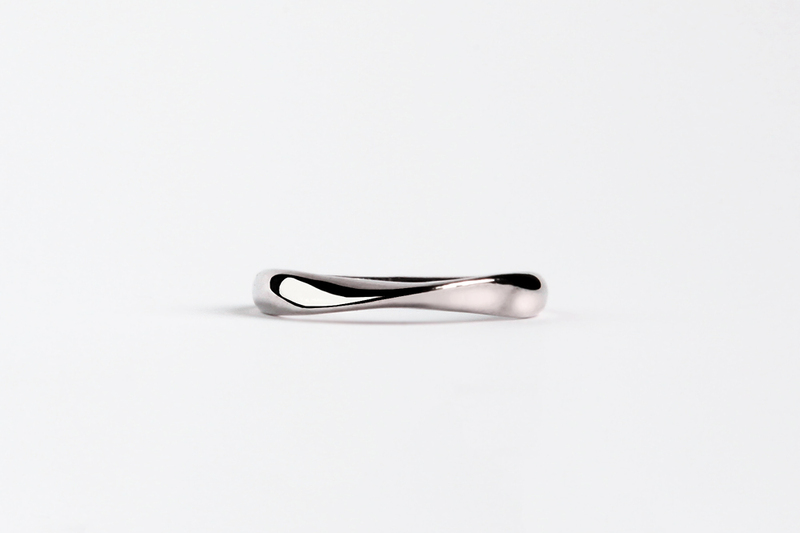 Endalaus are a pair of custom wedding bands designed to share familiar traits while providing distinct manifestations. 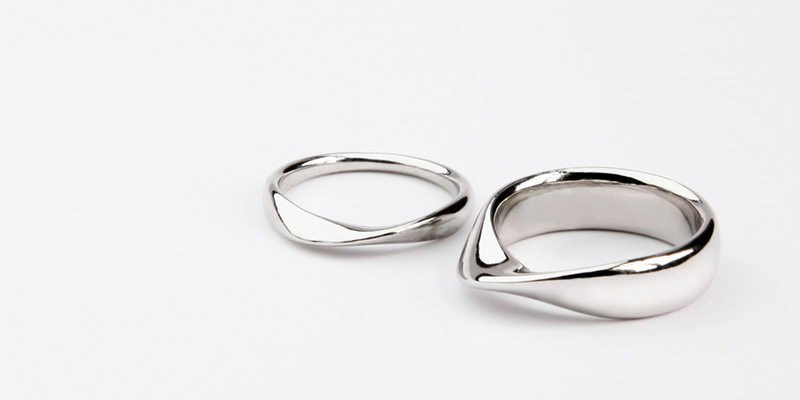 The curvature of the rings transform slowly; producing an illusion of symmetry and simplicity. 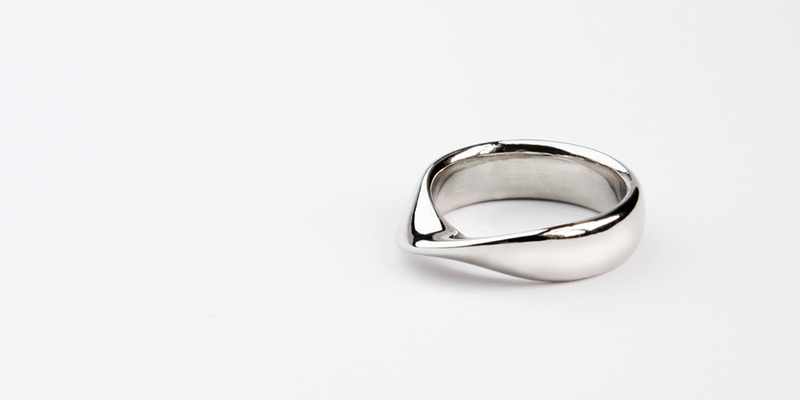 This apparently simple material twist is rather a continual geometric transformation, performing differently between the finger and visible sides. 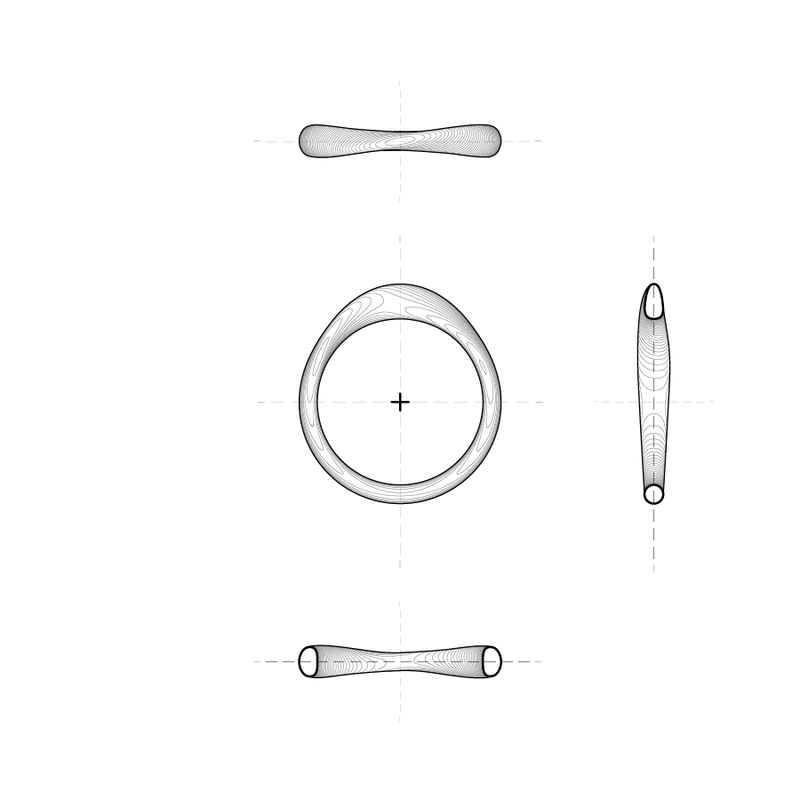 The finger side flattens out in cross section and globally describes a circle, while the visible side rounds over in cross section and globally performs the distinctive twist. Each condition is then forced to alternate in order to privileged their new sides after the twist. These sumptuous transformations produce visual illusions as to where the ring begins and ends while resting comfortably on the finger.